(Chicago, IL- April 19, 2012) Reading with Pictures, a 501(c)3 nonprofit charity, announced today the official launch of their fundraising campaign to create The GraphicCvr Textbook. 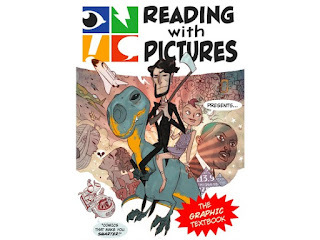 This groundbreaking project will enable educators to take comics beyond supplementary reading and into the core curricula. The Graphic Textbook brings together some of the finest creative talents in the comics industry – including Fred Van Lente, Ryan Dunlavey, Janet Lee, Amy Reeder, Katie Cook and Roger Langridge – with the leading experts in visual literacy and comics-based curriculum – including Dr. Katie Monnin and Dr. James Bucky Carter – to create a gamechanging educational tool for the classroom and beyond that’s tied to a revolutionary impact study overseen by Dr. David Rapp of the Learning Sciences Department of Northwestern University. Aimed at grades 3-6, The Graphic Textbook features a dozen short stories (both fiction and non-fiction) that address topics drawn from the list of Common Core Standards. The accompanying Teacher’s Guide will include Standards-correlated lesson plans customized to each story, research-based justifications for using comics in the classroom, a guide to establishing best classroom practices and a comprehensive listing of additional educational resources, both in print and online. Josh Elder, President and Founder of Reading with Pictures, explains “This project has been years in the making, and it's been developed with input from hundreds of educators, academics and students nationwide. With their help, we're going to create a comic that teachers will actually want to use and a textbook that students will actually want to read. And we've done it while respecting our contributor's rights and keeping our product price below the gong market rate. We know that there's a need for this product, now we just need your help to prove it." The Graphic Textbook will be financed entirely through a Kickstarter campaign set to launch on April 13 and run through May 17. The finished product is set for a spring 2013 release in both print and digital formats. I received a PDF in my email recent, a module from Eldritch Enterprises called Forest of Deceit ($7.50 in PDF form over at RPGNow). This is part of a series of modules that feature contributions from names that should be familiar to fans of Old School D&D: Frank Mentzer and James Ward. Forest of Deceit, however is by Christopher Clark, rather than either of those two men. Forest of Deceit is intended as the introductory or "set up" module to a series of interlinked adventures that flesh out an area of the setting. According to the module, there are three more "chapters" or adventures for this setting yet to come. This can be good or bad for GMs, because if the adventures don't catch on (or there are long delays between each release) then that can adversely impact the campaign. While designated as an adventure, what Forest of Deceit really is would be a series of short woodland encounters, intended to be used as the adventurers travel to the city of Namar (to be outlined in an upcoming adventure). The encounters are interesting, and are linked thematically by being in a wooded area. 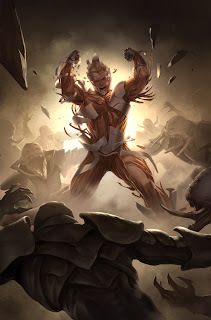 There's nothing that really ties these encounters to the Forest of the title, so a GM could easily drop them into any sort of woodlands encounter. As a matter of fact, I may use one or two of these encounters in my own Swords & Wizardry Whitebox campaign. My main complaint with this adventure is that a lot of pages are wasted by reprinting the monsters. Each encounter is self-contained, with its own monster write ups, but each of these write ups is then reprinted in a six page bestiary section. Those six pages could have been better utilized with another encounter or two. And while speaking of the monsters, I have to say that I found the "shorthand" used to give stats to the monsters in this module a bit confusing, since they don't exactly sync up to any of the old (or new) school fantasy games. Since most of these monsters are fairly common, finding write ups for them in your system of choice shouldn't be hard, but I think that I would have preferred if they had gone with using the stats from an existing Old School game (anything from Castles & Crusades to Labyrinth Lord to Swords & Wizardry) rather than this approach. The OGL has made it so much easier to create compatible materials for so many games that this would have been so much easier to make something compatible than to come up with yet another way to reinvent the wheel of monster write ups. Is this module worth the money? Well, that's a tricky question. I'm sure that someone will find a use for the material in this module, so for some that answer is an obvious yes. However, at $7.50 (for the PDF) for 34 pages of text and front and back covers, I am not sure if this is worth the money as it is. I think that this module could be much more successful if the encounters from it are integrated into a book with more of the Namar setting information integrated. That way GMs and players won't be left hanging when they finish these encounters but still do not have the city that is supposed to be their destination. With these couple of flaws, I can see this PDF being worth more in the range of $2-$3, rather than the $7.50 that it costs. There's too much introduction and not enough follow up to really make this worth the price of admission. Hopefully this module does not set the tone for other Eldritch Enterprises modules. I would like to think that Ward and Mentzer have a lot more experience at setting up these sorts of modules, but only time will tell. In this preview of the first issue of Harbinger, from the new Valiant Comics, we see that the names might be familiar but the characters and situations are updated and different. 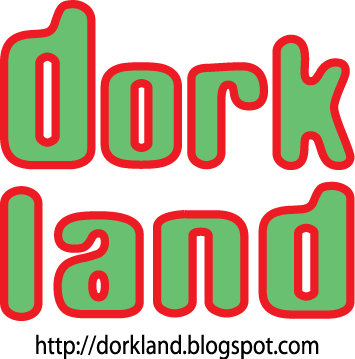 Coming this June to your Friendly Local Comic Store. Click through for the preview pages. 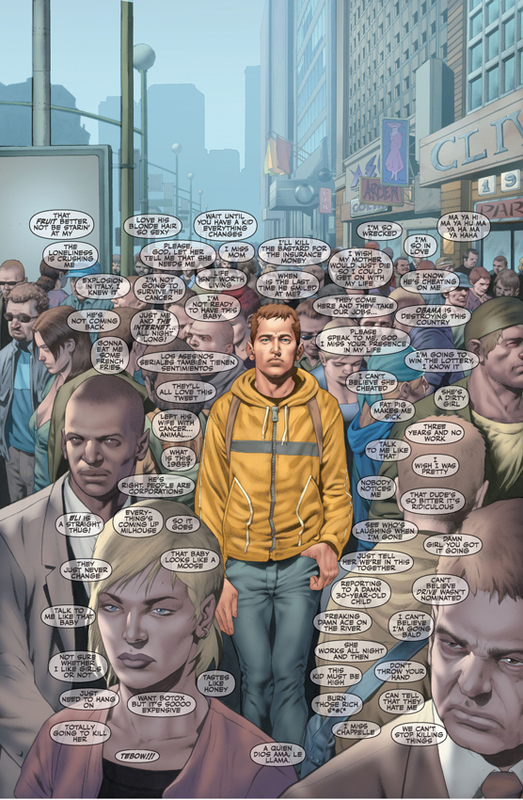 Valiant is proud to present a six-page lettered preview of Harbinger #1 -- the first issue of a super-hero legend reborn from New York Times best-selling author Joshua Dysart (Unknown Soldier, BPRD) and Harvey Award-nominated artist Khari Evans (Carbon Grey)! Teenager Peter Stanchek is on a dangerous path, but wields an even more dangerous power. Skipping across the country in a desperate attempt to stay one step ahead of the authorities, Pete is quickly realizing that he's a psionically-powered "harbinger" with the potential to control minds, manipulate matter, and forever alter the course of human history. But behind the scenes and half a world away, Pete's plight has not gone unnoticed by respected philanthropist and fellow harbinger, Toyo Harada. 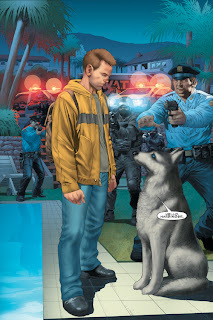 Will Harada offer Pete the chance at the things for which he's longed -- family, inner peace, control? Or will this unlikely hero find himself inducted into a secret network of conspiracy and subversion? Read minds. Bend steel. Break all the rules. 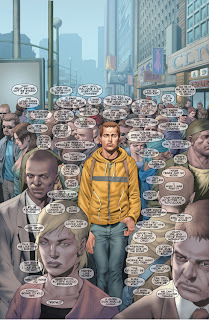 This June, the foundations of the Valiant Universe will shake as Peter Stanchek learns the true price of power, only in Harbinger #1 - on sale June 6th! 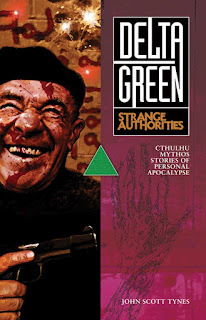 “Delta Green: Strange Authorities” is available in trade paperback from Amazon.com, Ingram Book Company, and Arc Dream Publishing, and in ebook for Kindle, Nook, iBooks and other devices. 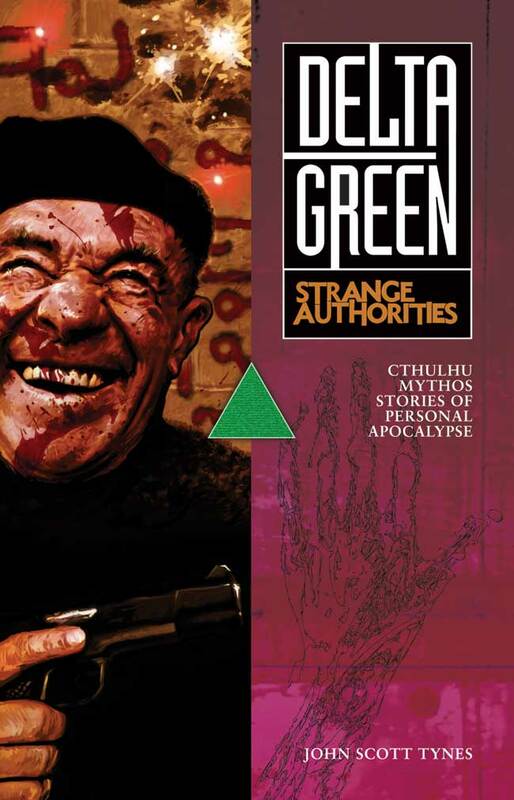 The sequel to “Strange Authorities,” Dennis Detwiller’s “Delta Green: Through a Glass, Darkly,” is also available in trade paperback and ebook from Arc Dream Publishing. The July solicitations for Valiant Comics are out! This looks like another strong month for the company. I can't wait to get these books into my grubby hands. 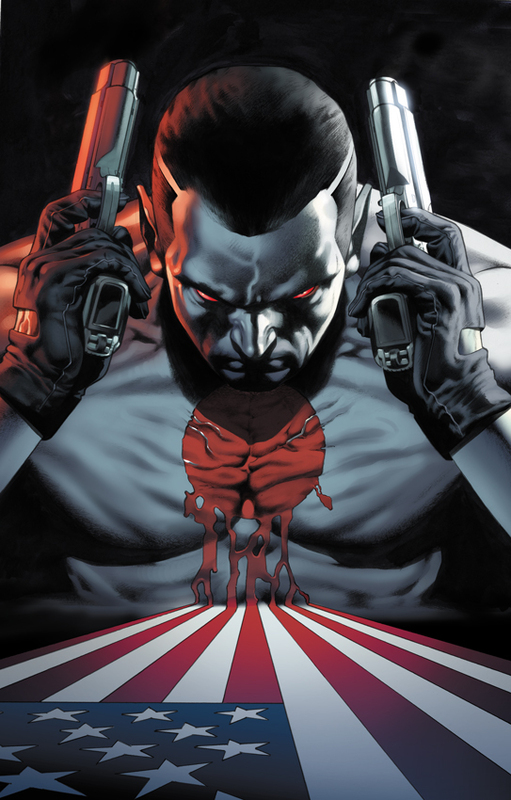 It's the start of a new mission for one of comics' all-time best-selling superheroes in Bloodshot #1 — the first issue of a new ongoing series from acclaimed writer Duane Swierczynski (Immortal Iron Fist, Birds of Prey) and the lethal artistic tag team of Manuel Garcia (Checkmate) and Arturo Lozzi (Immortal Weapons)! Your name is Angelo Mortalli. Your brother is trapped behind enemy lines and on the verge of — no. That's not right. Your name is Raymond Garrison. You've retired from the dangers of the field, but a desperate plea from your oldest friend plunges you into a vicious firefight that — no. That's not right, either. You are Bloodshot. You are the shade of gray that freedom requires. The perfect confluence of military necessity and cutting-edge technology. A walking WikiLeaks that is a reservoir of dirty secrets that could set the world on fire. And you've just been captured. With the X-O Manowar armor now in his possession, all that stands between Aric and freedom is a legion of alien soldiers. 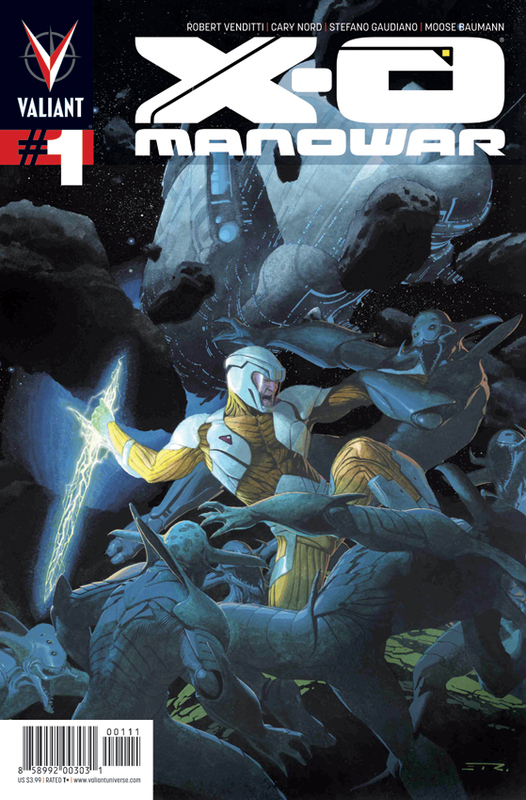 When he at last comes face to face with Commander Trill — the man responsible for his capture — the enormous power of the Manowar armor reveals its potential in a new and electrifying way. Can Aric lead his band of fellow prisoners off the Vine colony ship and back to Earth, or will their revolt be put down? Who will live and who will die? One thing that I never thought that AD&D/D&D was very good at was simulating the fiction of the fabled Appendix N. I don't think that it really needed to because, even as a kid, I always felt that the books in Appendix N were meant more as a guideline to inspirations than what the game was actually supposed to be about. This is supposition, but in hindsight I get the impression that after D&D came out Gygax & Co. were surprised to find out that their tastes in reading weren't as universal as they thought that they would be and that is what led to the inclusion of the Appendix N in AD&D 1e. It seems almost to be an early example of the geek social fallacies in action. Here's the problem. What might have been intended as a "here's where our head is at with fantasy fiction, some stuff that we like that might make your D&D games cool" has been turned into a near dogmatic "THIS IS WHAT D&D IS SUPPOSED TO BE!!" by more than a few fans and publishers (who are obviously fans as well). The cries of "Appendix N Gaming!" seem to be calling for a game that never was, or at least a game that I can say that I never saw. I do think that if we are going to call for more Appendix N games, we definitely need to have more games inspired by Edgar Rice Burroughs. Recent sad performances in the Box Office aside, Planetary Romance and Lost Worlds styles of games are sorely underrepresented in published RPGs. I understand the reticence of publishers, considering the overzealous nature of the Burroughs Estate when defending what it believes to be its rights. I guess what I am saying is that we need to look at things like Appendix N for what it was intended to be: an inspiration upon the games of those who might not have read the same books as the Founding Fathers of gaming. The books listed therein are not the destination of a fantasy game, but they are the journey towards it. 13th Age, an upcoming RPG (currently in playtest) to be published by Pelgrane Press and designed by Jonathan Tweet (designer of Ars Magica, Over The Edge, Talislanta 3e and Lead Designer for D&D 3e) and Rob Heinsoo (who has designed and/or edited for Nexus: The Infinite City, Over The Edge and D&D 4e) is already gathering buzz and interest around the internet. A press release here has some of the details of the upcoming game. "Our goal with 13th Age is to recapture the free-wheeling style of old-school gaming by creating a game with more soul and fewer technical details," said Tweet, who spoke alongside other game industry veterans on panels at Norwescon 35, a fantasy, science fiction and gaming convention in Seattle. Tweet continued, "13th Age makes the play group’s campaign the center of attention, with a toolkit of rules that you can pick and choose from based on the kind of game you want to play. 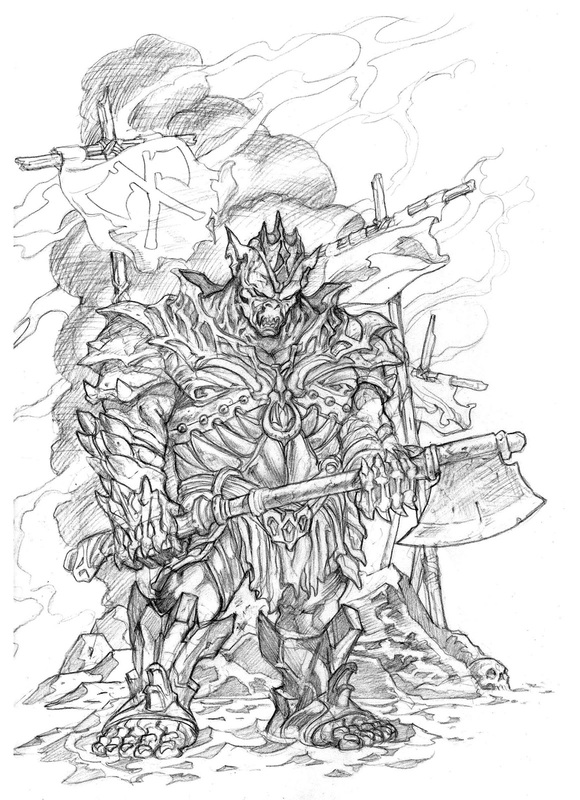 The mechanics of 13th Age draw from classic games as well as newer, story-based games." Although they can't yet share details about 13th Age with others, playtesters have been enthusiastic about it on online message forums. Playtester Adam Dray said, "Tonight, the one player who comes to the game for mostly social reasons said after a test combat, 'That was fun!' and engaged with her character in a deeper way than she ever has." I am sort of surprised that there isn't more buzz going on about this game. This sounds like the sort of thing that Wizards of the Coast is attempting to do with their upcoming edition of D&D. I'm about to do something uncommon for Bloggers in RPG circles and say that I can't really comment or compare and contrast these two games because I haven't seen the playtest documents for either. To see which of these games actually reaches these goals, I am going to have to wait for each of them to come out...just like the rest of you. I am curious to see what comes about with The 13th Age, if only because Tweet has created two of my favorite games in Ars Magica and Over The Edge. So yeah, there is a playtest going on. For awhile the NDA was simply don't distribute the files and a bunch of information was posted (see every post after this one). Now, it's don't talk about the game beyond the broadest of terms. Here's some of those broadest of terms. Keep in mind this is playtest and everything could change next round. I am enjoying this playtest. The playtest document is 200 pages of text, and extremely put together for such an early draft. The underlying framework is very exposed. There's a monster on a business card section as well as instructions on how to tweak monsters in general. There's lots of advice on how to play the game; everything from which classes have the least fiddly bits to track, to "this mechanic ties into our design goals this way; this mechanic ties into D20 traditions this way." The whole thing is riddled with optional rules. There are tons of "this is the rule, don't use it if you don't want to. Rob certainly doesn't," and, "if you ignore this rule, do X to fix the math." Combat is simplified. Maps are still used, but distances are relative and broad. Minions are faster to run, status effects and modifiers are simplified, combat moves faster after each round. This isn't a complete revision of D&D traditions (at least not yet). Alignments, ability scores and binary skill checks are all in, but have been reduced in importance, modified, or their most obnoxious elements have been otherwise diminished. So, some interesting stuff. Let's see what happens with it, as it develops. I did manage to grab an exclusive look at a piece of pencil art from the upcoming game. 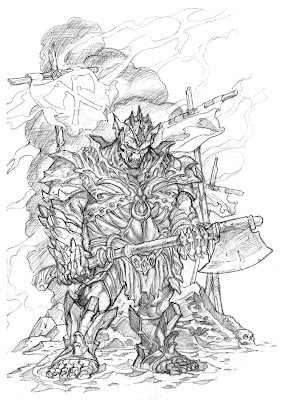 This is an Orc Lord, which I am assuming is going to be a bad guy. Hopefully we will hear more about this game in the months to come. This is a sort of "posting of notes" or "working out the words to a tune in my head" type of post. If these ideas seem rambling, or not finished, that is probably true. I just want to get some of them out and onto "paper," probably mostly because of the online game that I am going to be running soon. Warning: Metaphor heavy posting follows the jump.